(2014). Magnetohydrodynamic (MHD ) Plane Poiseuille Flow With Variable Viscosity and Unequal Wall Temperatures. Iranian Journal of Chemical Engineering(IJChE), 11(1), 63-68.
. "Magnetohydrodynamic (MHD ) Plane Poiseuille Flow With Variable Viscosity and Unequal Wall Temperatures". 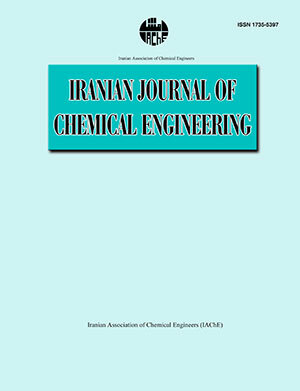 Iranian Journal of Chemical Engineering(IJChE), 11, 1, 2014, 63-68. (2014). 'Magnetohydrodynamic (MHD ) Plane Poiseuille Flow With Variable Viscosity and Unequal Wall Temperatures', Iranian Journal of Chemical Engineering(IJChE), 11(1), pp. 63-68. Magnetohydrodynamic (MHD ) Plane Poiseuille Flow With Variable Viscosity and Unequal Wall Temperatures. Iranian Journal of Chemical Engineering(IJChE), 2014; 11(1): 63-68.